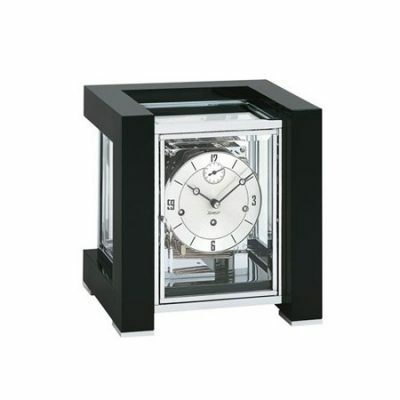 Delicate mantel clock in Art Deco style. 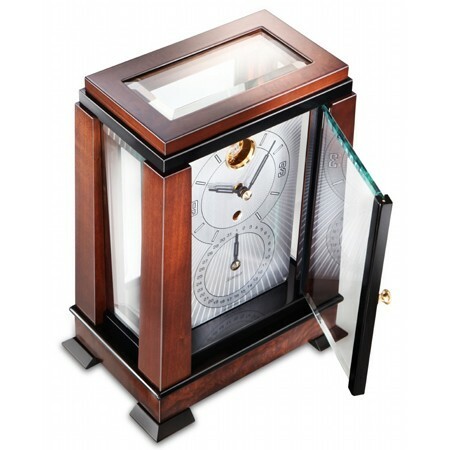 Dark walnut finish with black accented walnut burl. 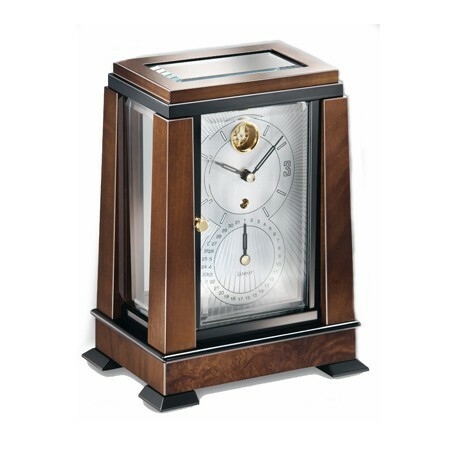 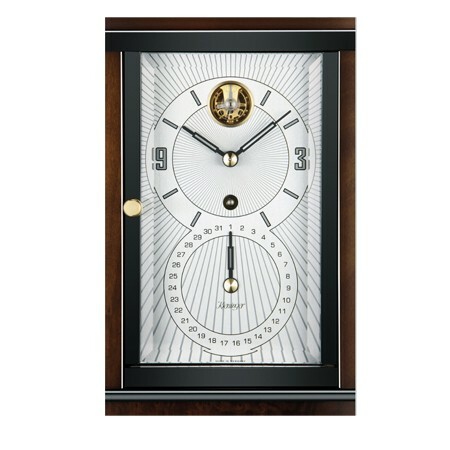 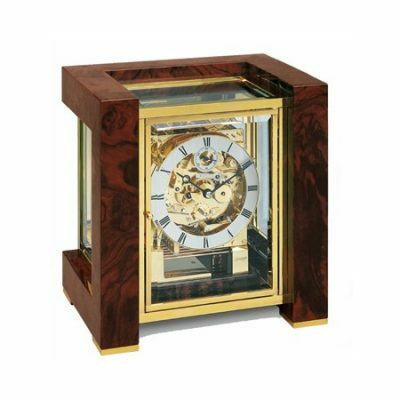 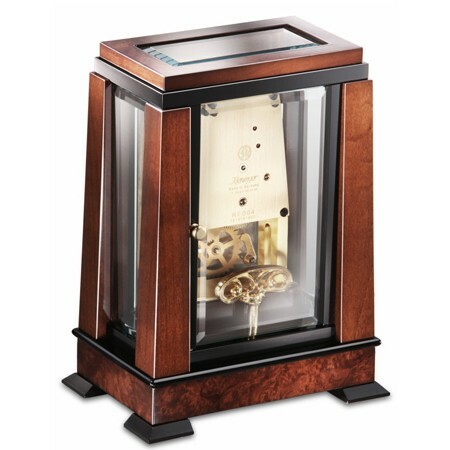 Features 2 doors, dial with big date indication and visable 11- jewel Swiss escapment. 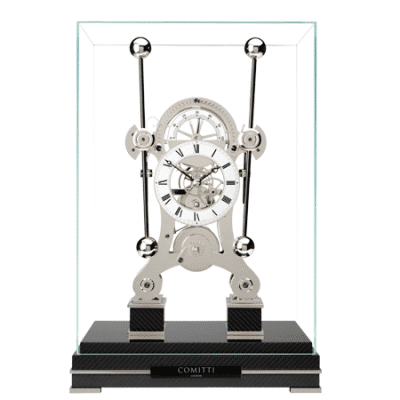 Dimensions: 23cm High x 17.5cm wide x 11.5cm Deep.